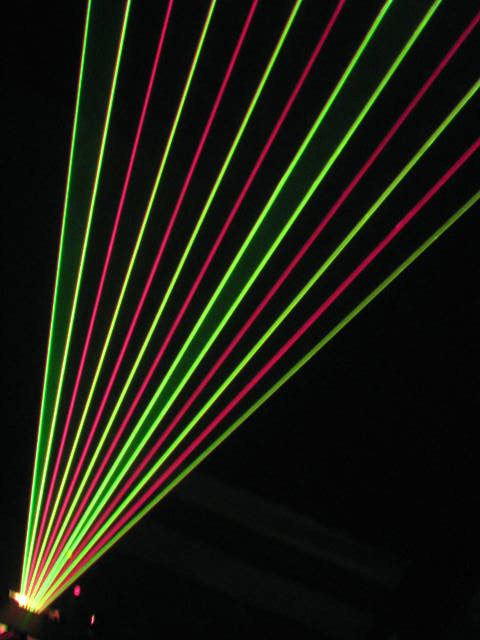 The laser harp original project was mono color, green or blue according to availability of vintage lasers. 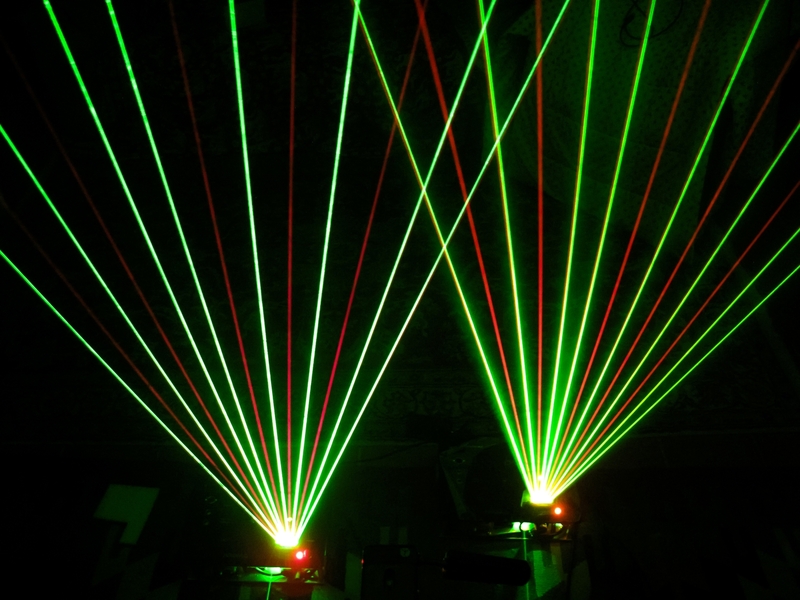 At the beginning of the new century, led technology brought us solid state diode lasers, that today can be bought easily in different colours, normally red, green and blue. 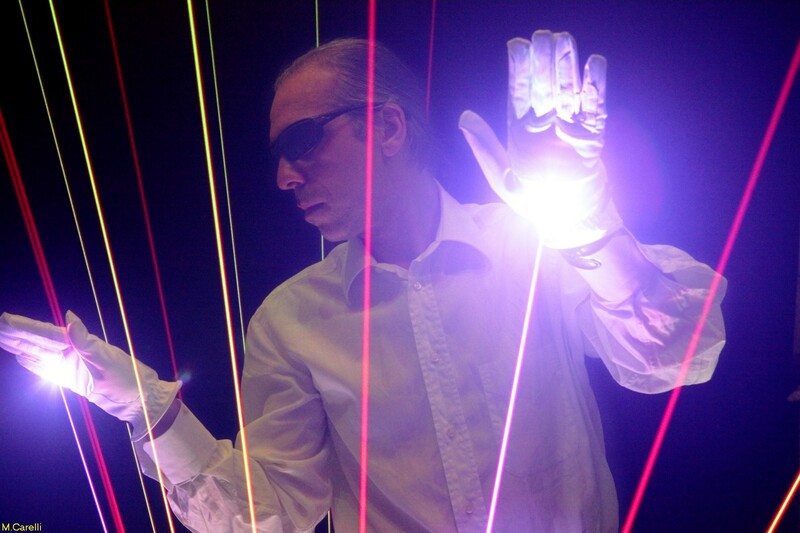 In 2008 an italian engineer, Maurizio Carelli, while designing its own harp, had the idea of a bicolour laser harp, called "Kromalaser". The red and green beams are disposed as black and white keys on a piano keyboard, so if you are able to play a bit o f piano, you can recognise in a while the notes on the laser harp fan. Simply and effective, the idea has been implemented on almost all laser harps produced today! Using a 3d laser scanner the shape of the fan can be made conic: this is called "3d mode". This mode allows to play in a easier way, since the circular shape allows the player to have hands always at the same distance from the beams. Using a laser projector with 3 beams (Red,Green and Blue) instead of 2 colours, the laser harp can have beams of mixed colours like a rainbow!